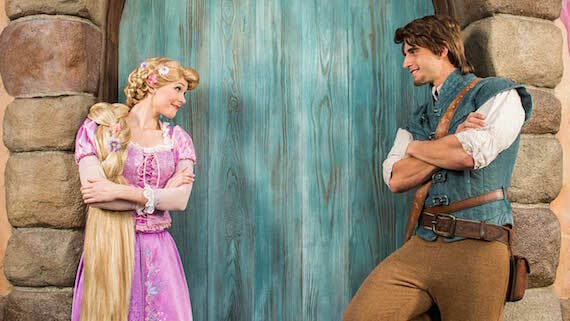 This unique, new character breakfast is slated to begin in late spring. Stay tuned for more details, including the opening date, when you can make reservations, and menu offerings! Even more interesting to me is that the characters slated for this location are “royal couples,” which makes things a whole lot more interesting. I like the dynamics involved when you’ve got pairs of characters together. For example, meeting Cinderella’s step-sisters is perhaps my favorite meet & greet opportunity. (And if you throw Lady Tremaine into that mix, it’s even better!) So having royal pairs interacting at your table is a lot more appealing to me than the usual Princess Dining experience. So I’m willing to see how this new Character Dining experience pans out, and I’m looking forward to seeing what Disney does with the menu. This entry was posted on February 2, 2017 at 12:35 pm and is filed under Disney Dining, Disney News, Disney Vacation Planning, Resorts, Walt Disney World. You can follow any responses to this entry through the RSS 2.0 feed. You can leave a response or trackback from your own site.